Thank you for working with me on a project, or purchasing one of my prints or originals. Please feel free to leave feedback using the testimonial form below. I'd also love to see your artworks in their new homes so do add a photo or video of you with your new work. Plus please leave your first name and general location in the World. Your testimonials reviewed and be published within 24 hours. 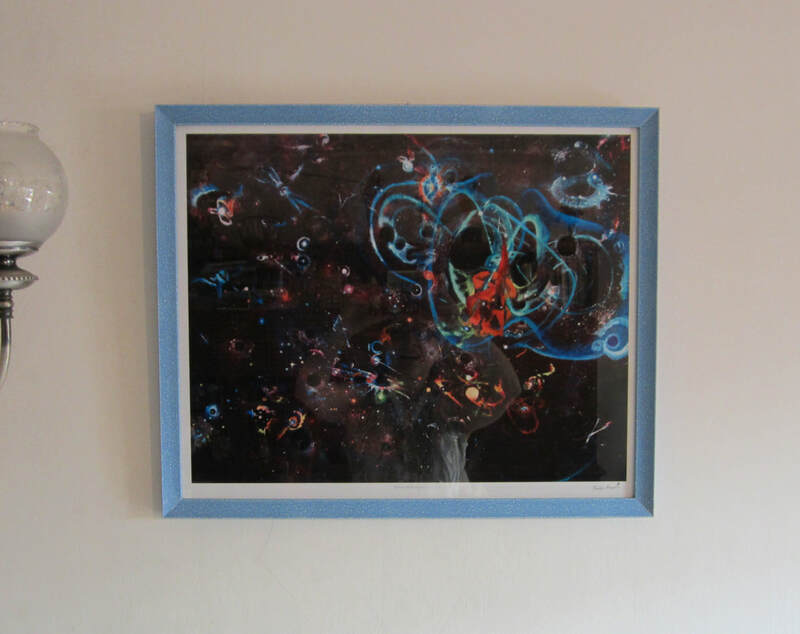 Towards the end of last year I ordered two prints of the Infinite LIGO Dreams artwork by Penelope Rose. As my workplace is in Cardiff, I even had the honour to have them delivered to me in person by the artist. One of the prints was for me and the other was a present for my grandparents in Spain. The attached photograph corresponds to the framed print in their house - I'm very happy with the result, and they enjoyed it very much too! I bought a copy of Infinite Ligo Dreams as a Christmas present. As a couple we have connections to Cardiff University and STFC who supported some of the work that led to the detection of gravitational waves. Of course we love the painting too! Wastrel Ltd commissioned Penelope to depict our public house "The Crofts". We are most pleased with our Indian ink & watercolour variants and would highly recommend her services. Penny's design has been incorporated into our company logo & the original watercolour hangs in our restaurant for all to see. I purchased several prints some years ago now, the swans series. So glad I did. Penelope is a talented and very creative artist.